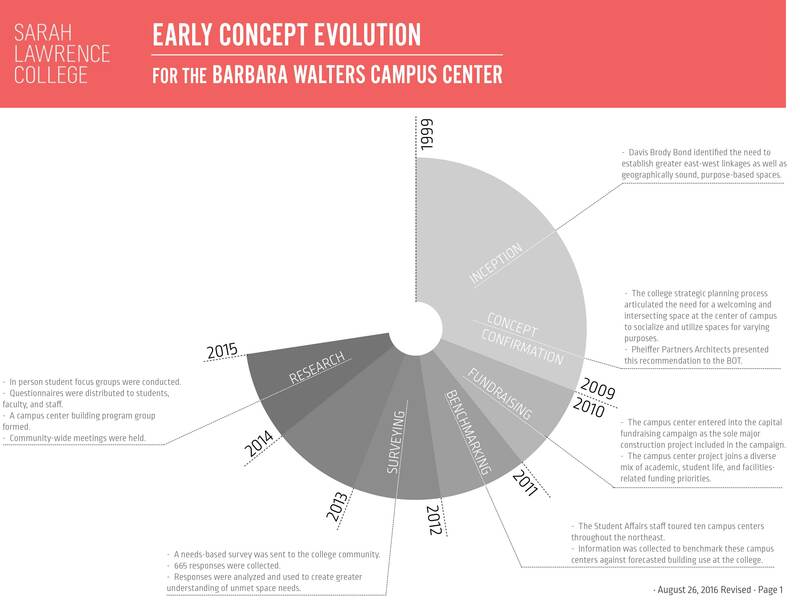 Planning for The Barbara Walters Campus Center began in January 2016. Throughout 2016 and 2017, the project team went through the processes of program verification, schematic design, design development, construction documentation, and planning board approval. Groundbreaking for the Center took place on January 18, 2018. The Barbara Walters Campus Center is scheduled to open in Fall 2019. 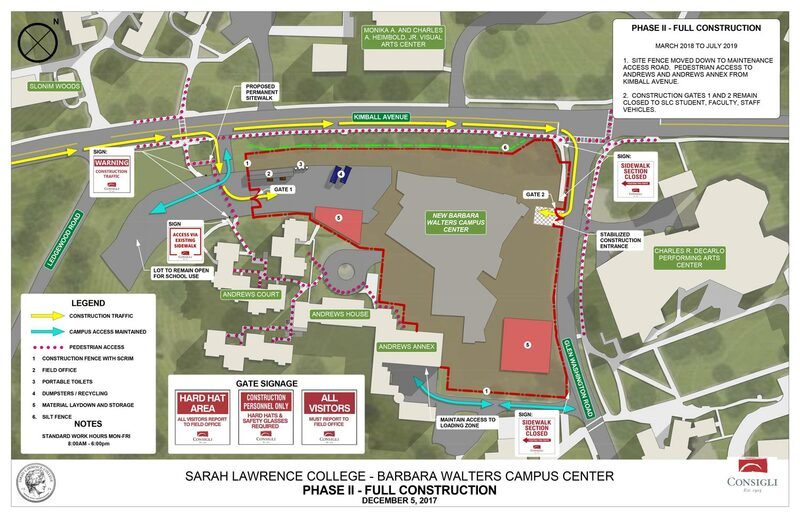 In February 2015, esteemed Sarah Lawrence alumna Barbara Walters made a gift of $15 million to facilitate the construction of a much needed campus center. Walters' gift reflects an understanding of the needs of the College today, as well as its history. Over two decades ago, as Sarah Lawrence entered a period of significant growth both in student enrollment and in “bricks and mortar” well beyond the confines of the campus’ historic core, it became clear that we had outgrown the spaces where the community could gather for intellectual, creative, and social purposes.